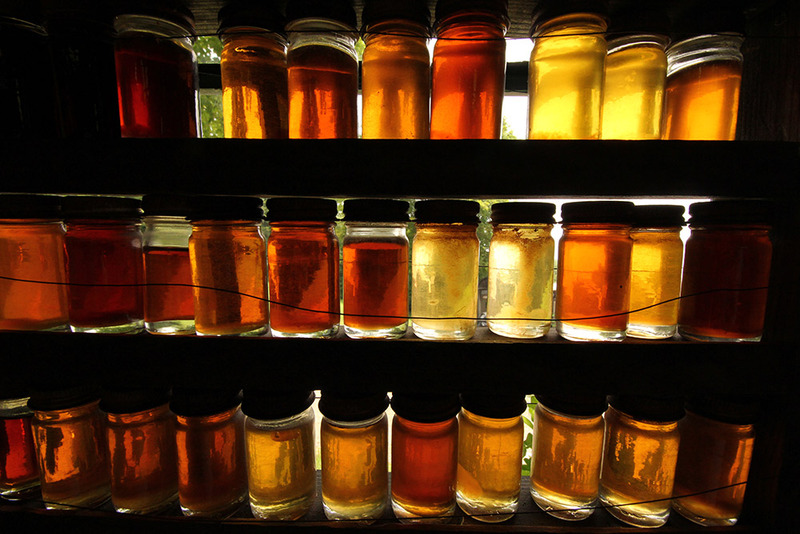 Real or 100% pure maple syrup is derived entirely from Maple tree sap. As such, Maple Syrup is 100% natural. Unlike many table syrups or other sweeteners, Pure Maple Syrup does not contain any additives, preservatives or harmful ingredients like corn syrup! Because of this, pure Maple Syrup is fat and cholesterol free! In addition to being free of fat, additives and other harmful ingredients, pure Maple Syrup contains a number of naturally occurring minerals like calcium, potassium, manganese, magnesium, iron and vitamins like B2, B5, B6, niacin, biotin, and folic acid. As such, Maple Syrup is can be an effective source of antioxidants known to help promote blood flow and prevent disease.